Finding an electric bike that the ability to fold up for storage and doesn’t cost a fortune is not an easy task. There are many options out there but many are not worth your money or your time. Cyclamatic are focused on providing well priced and affordable options that perform just as well as the more expensive options. They have a large range of products that you can view here. Today we’ll be looking at the CX2, a folding electric bike that has been designed specifically for shorter rides and city commutes. In this review we’ll cover everything there is to know about the Cyclamatic CX2 and give you our opinion as to whether we think it is worth your money. We’ve reviewed many Cyclamatic products and they’ve all been good. 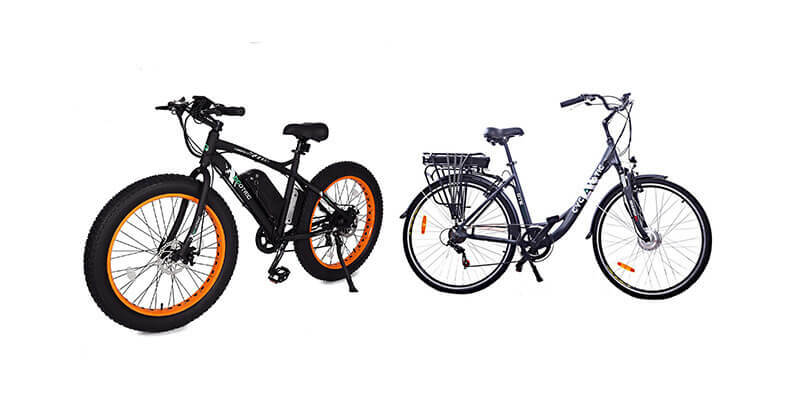 For example the Cyclamatic Power Plus CX1 was included on our list of the best value electric bikes. 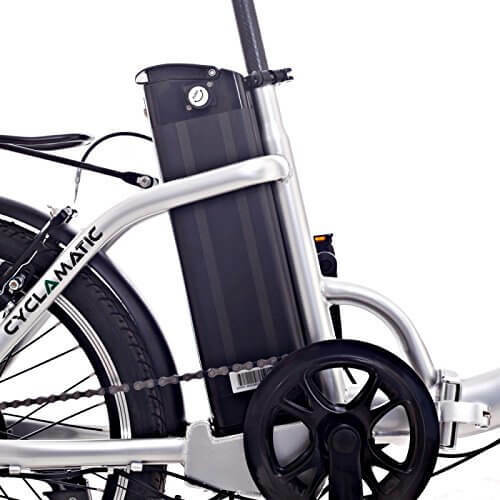 The Cyclamatic CX2 is perfect for people look for a well priced folding e-bike for shorter city commutes. It looks good, is well equipped and performs relatively well for what it is but despite this it does have a few small problems. 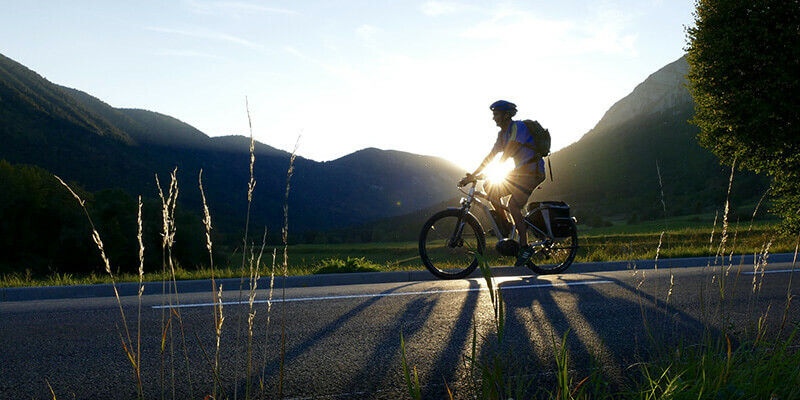 For example, the pedals and seat could be designed better for easier pedaling when the electrical assistance isn’t turned on and for a more comfortable ride. These small problems are definitely not a deal breaker and the bike remains one of the best cheap e-bikes on the market today. 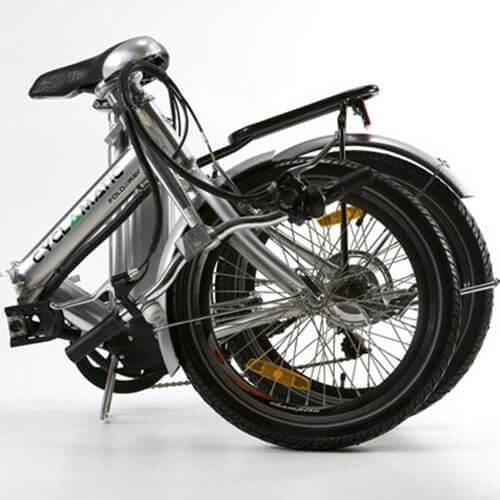 The first and most notable feature about the CX2 is that it is a folding bike. It folds directly in the middle of the main frame and uses a simple clip to hold it in place. It also folds at the stem of the handle bar to help compact the folded bike even more. 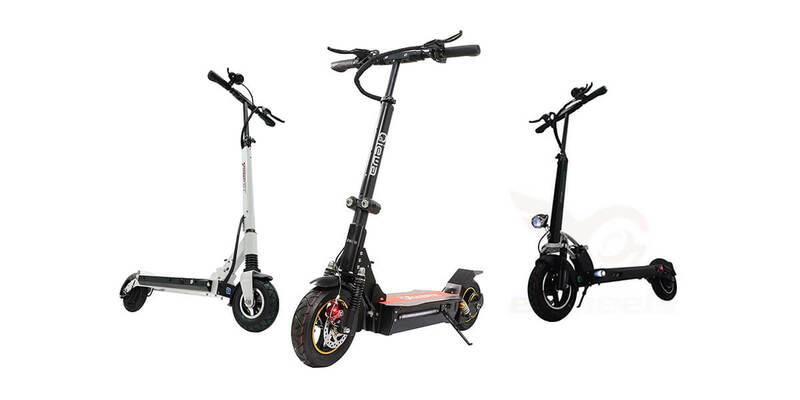 The fully folded bike is quite compact and is able to fit in car, on public transport and general household storage. For more examples of folding electric bikes, check out our list of the best folding electric bikes where the CX2 makes an appearance. 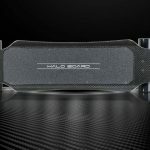 The entire bike’s frame is made from a lightweight steel. This does help provide it with some strength and the bike feels solid. However, the steel isn’t quite as lightweight as we’d have hoped. The entire bike weighs 57 lbs (25.9 kg) which is plenty for a small bike like this. It does mean that transporting it around can become require quite a lot of effort. 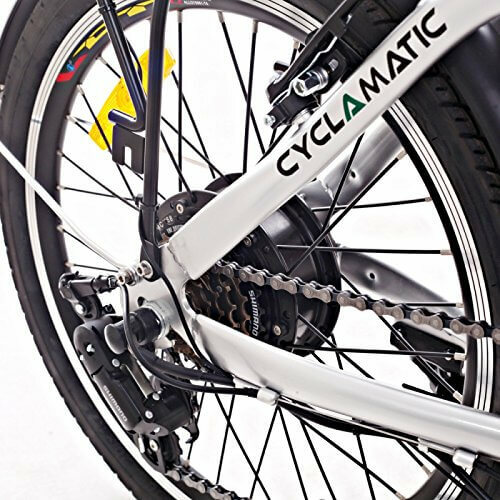 The Cyclamatic CX2 is fitted with a 250 W hub motor that is attached to the back wheel. 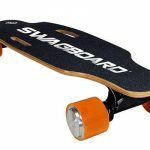 It also has a 36V 8AH rechargeable lithium ion battery that’s also removable. This means you can buy another battery and have it as a spare to quickly switch out if you need to. A nice feature that’s quite often overlooked. The Cyclamatic CX2 has multiple riding modes to allow you to choose how much effort you put in and can even be ridden with no electrical assistance at all if you desire. This is all controlled through a simple system on the handlebars. The design of the CX2 is pretty good. 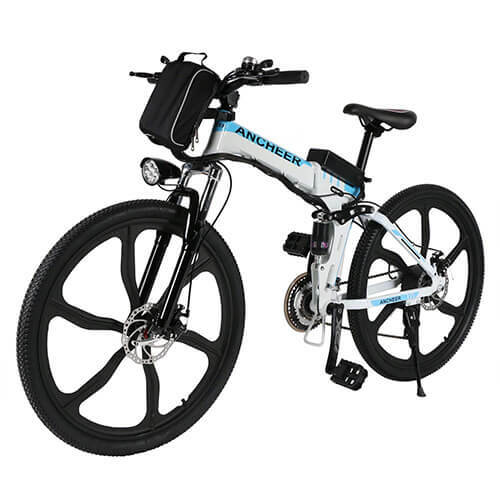 It looks nice and the folding mechanism is fairly quick to complete and leaves the bike nicely compact. The build quality is fairly good, there has been quite a lot of attention to detail with the welds and the finish is very nice. However, we do wish the manufacturers had chosen a different material to the steel they have used. It’s just a bit too heavy. A lighter metal, like aluminum, would have been a better choice, but also would have cost more money. So for what it is the CX2’s design and build quality are pretty good. Some people have reported a few small problems such as the pedals sticking or being hard to push in addition to the seat being a little uncomfortable. We agree these things could be better but are far from deal breakers. The control system on the CX2 is also a good. It is a small panel on the left side of the handle bars. It has an on/off button and an assist button. The assist button is used to cycle through the 3 modes of low, medium and high assistance. We’d recommend medium for general usage. The control display also shows the battery level using four simple LEDs. A fairly barebones system that is nothing extraordinary but it’s a simple and effective system nonetheless that has also helps keep costs down. The Cyclamatic CX2 will easily reach 15 mph with no pedalling at all. If you want to pedal as well as have the assistance on high you can get more speed from it. 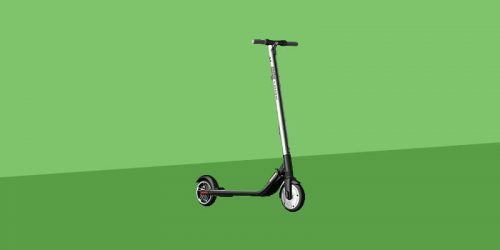 The battery will give you around 25 – 30 miles of range on a single charge. This is very good but you can’t expect to always get this type of performance out of the CX2. The range will depend a lot on the rider themselves and how much they pedal. It will also depend on the weather and the terrain that it’s being ridden in. Also hills will have a great effect on the maximum range. Speaking of hills, the CX2 manages them quite well. It will struggle to get you up the hill by itself if the hill is rather steep. However, with a pedaling and some assistance from the motor, no hill will be a challenge. 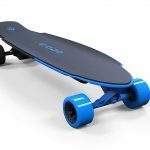 The battery is said to charge in 4 – 6 hours from completely flat. We’ve found that this is the case at almost any percentage of charge left in the battery. Well priced – The Cyclamatic CX2 comes it at a lot less than $1000. For the performance and general build of the bike you’re getting a lot for your money. Also at this price it’s much easier for us to forgive any small problems we find. Perfect for city commuting – The bike itself is great for commuting and short trips around town. It’s makes pedaling light work and can manage hills well. Having the little rack at the back also helps with transportation of shopping etc. The folding ability isn’t always used when commuting. For example, the weight and size of the bike might make it a little bit tougher to take onto public transport. 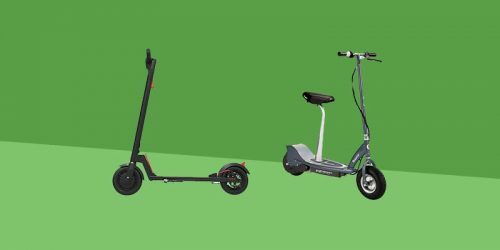 If you’re looking for a super lightweight and portable form of commuting, we’d recommend looking at our list of the best electric scooters for commuting. 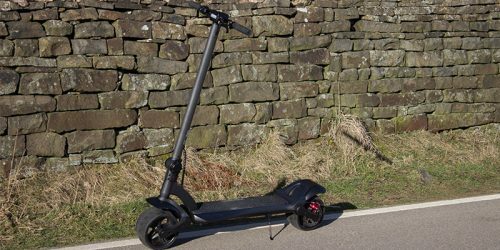 Battery Life – When you’re riding this in good weather and on a smooth, flat road the maximum range is very impressive. Bit too heavy – A different material rather than steel would have been nice to use for the frame just to remove those extra few pounds to make it easier to transport when folded. A few rough edges – We aren’t talking about the finish, which is very good, we’re talking about small problems like the seat being less comfortable than expected on a commuting bike and the pedals sometimes sticking. 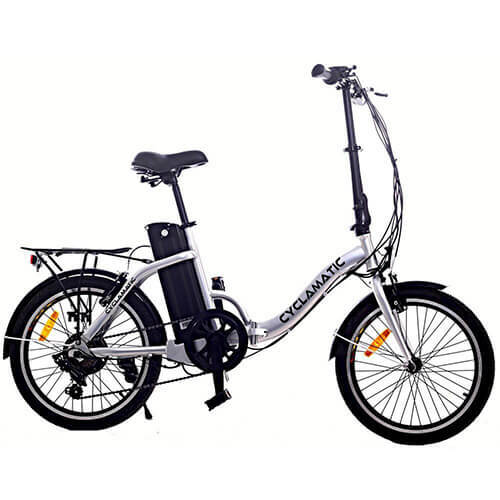 Overall, the Cyclamatic CX2 is a very good folding electric bicycle. It does have a few problems here and there but they tend to be very small problems that can either be fixed or won’t be noticeable enough for you to actually consider a problem. For the price, the CX2 offers great performance, it looks very nice and it’s built very well. If you’re looking for an electric bike for commuting and you don’t want to spend a lot, then this is a very good option and we’d definitely recommend it. It even made it onto our list of the 10 best electric bikes under $1000. 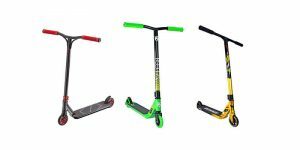 Is this bike OK for someone 6″ tall? Are parts availible? We were given this bike, we need to replace the battery and charger.